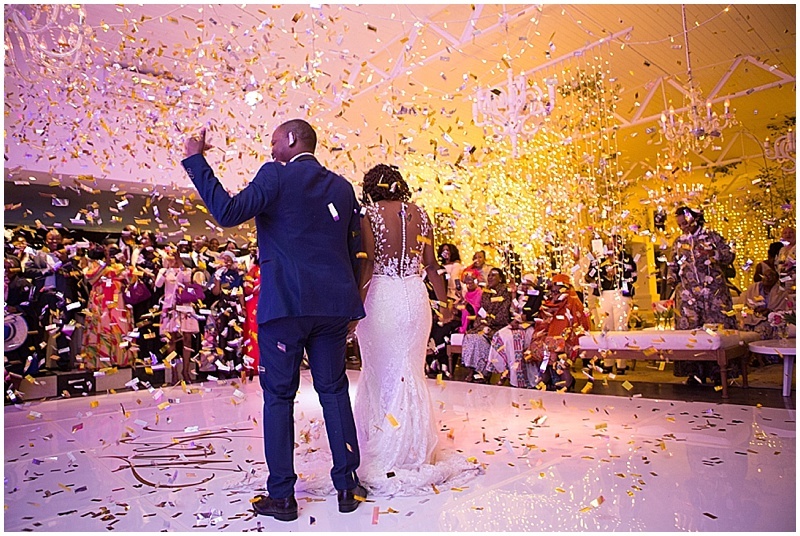 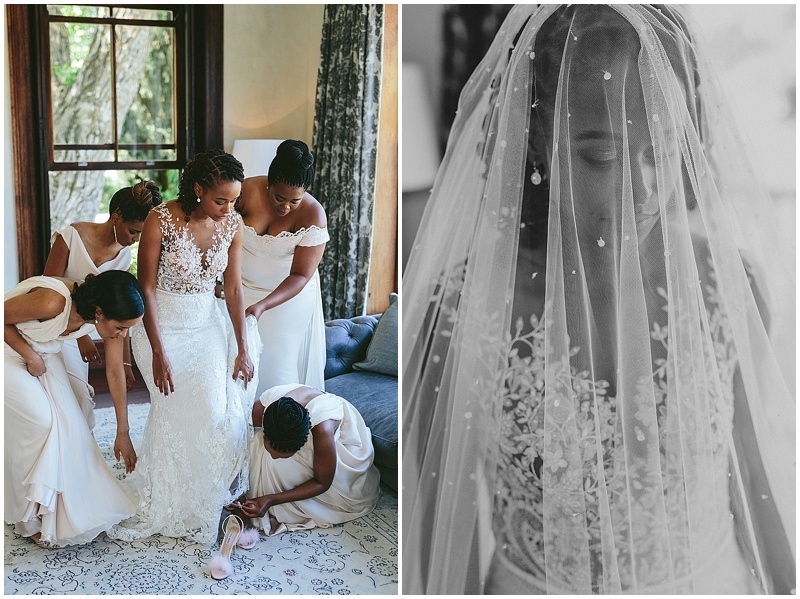 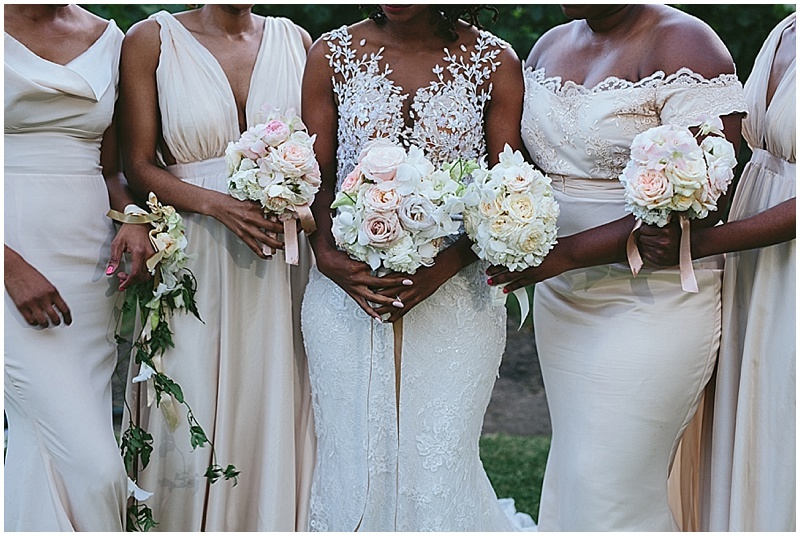 From the very beginning it was clear that Marupeng and Ncedi’s wedding was always going to be a family affair with attention to detail and a flair for exciting creative design! 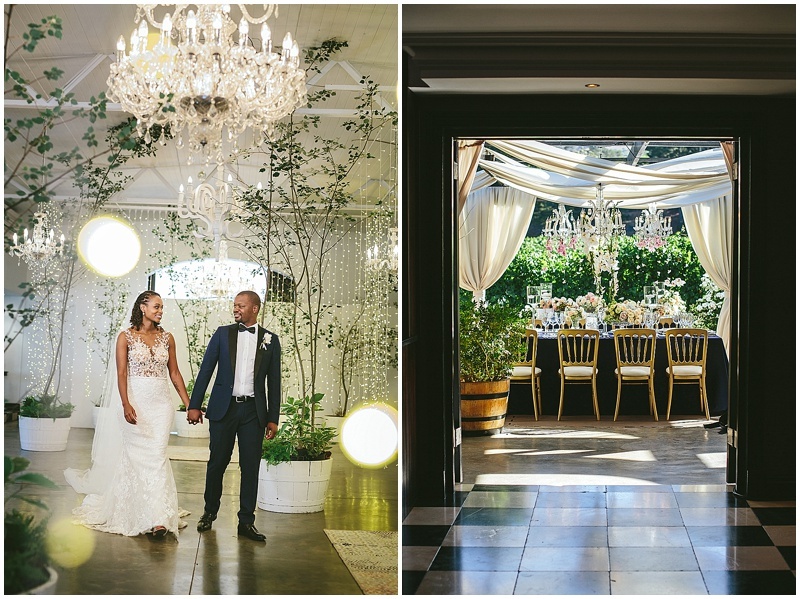 Working hand in hand with the bride’s sister, an Interior Designer by trade, our Creative Director, Kate Diaz, sought to create and tailor make a look for this stylish young couple that would truly encapsulate their effortless and natural style, but also speak of sophistication and romance. 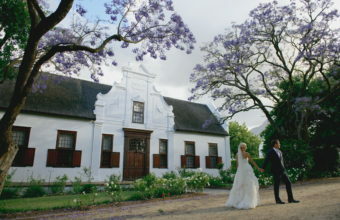 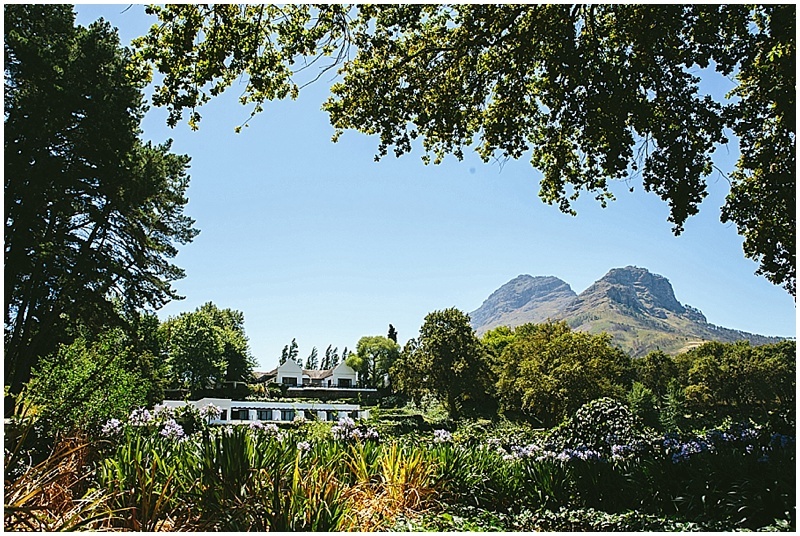 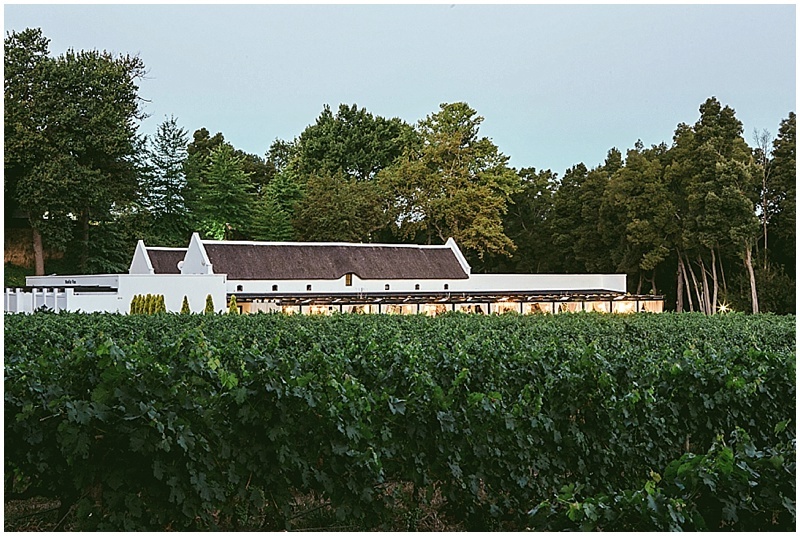 Tucked away in the Helshoogte Valley, Molenvliet was the perfect choice of venue. 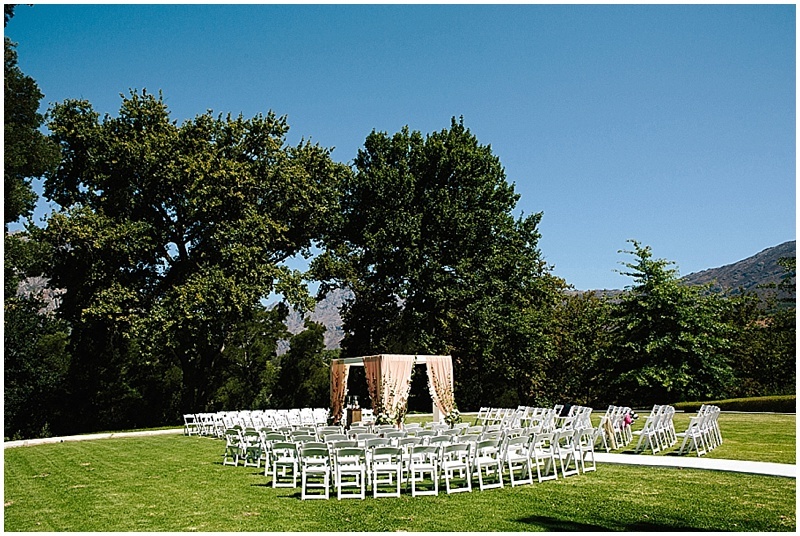 As guests arrived they were met with incredible natural scenery and a luxurious ceremony gazebo. 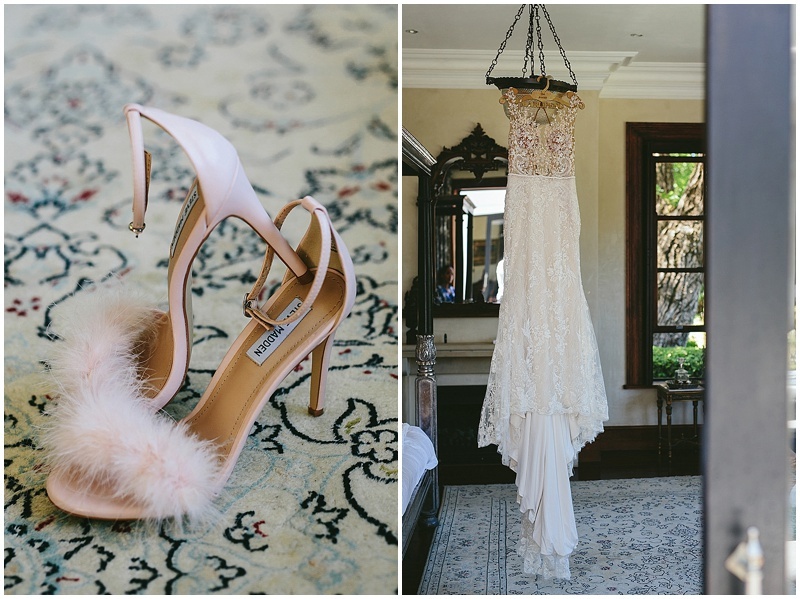 It was here the blush colour scheme was gently introduced. 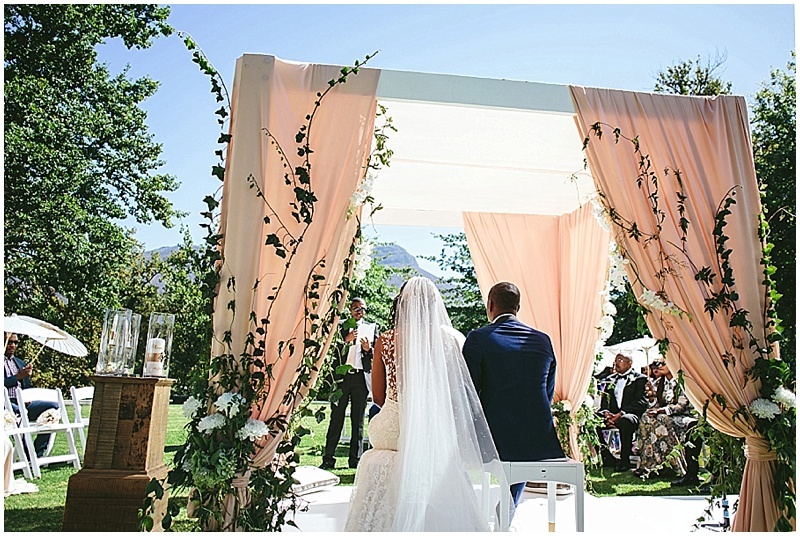 Trailing vines and soft white florals adorned the four-posted draped structure. 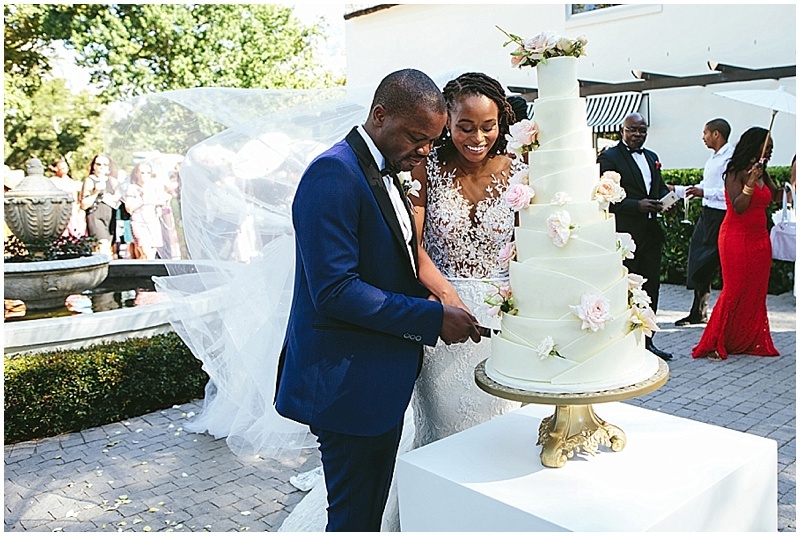 Breaking away from tradition ever so slightly, the couple chose to cut their contemporary 6-tier white chocolate collared cake immediately after the ceremony. 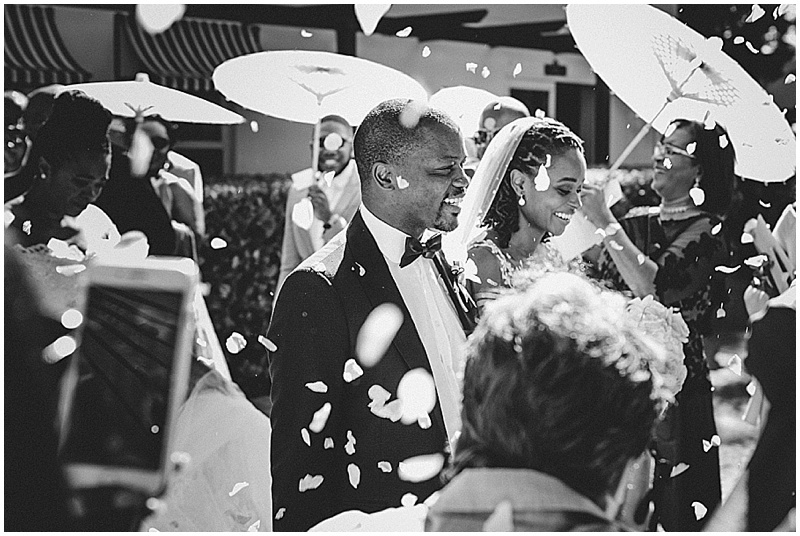 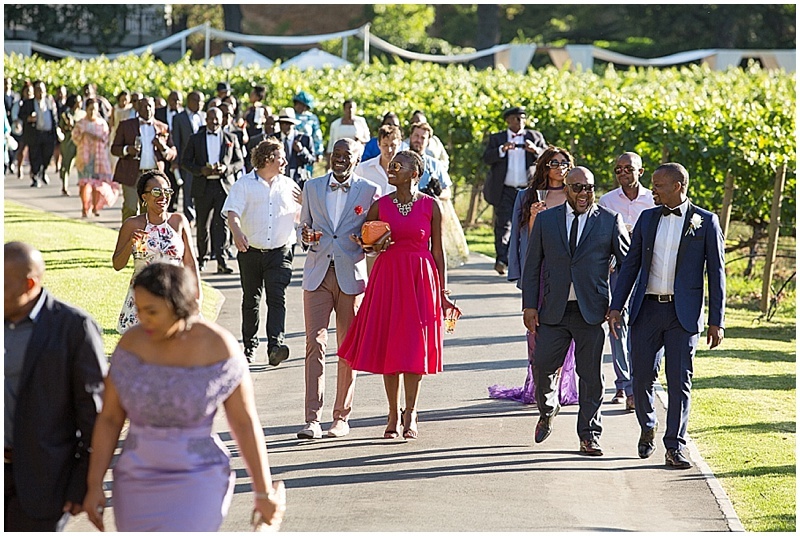 Once all the guests had received a glass of champagne, they took a gentle stroll down to pre-drinks, whilst the uplifting sounds of “Café Bossa Nova” played all over the estate. 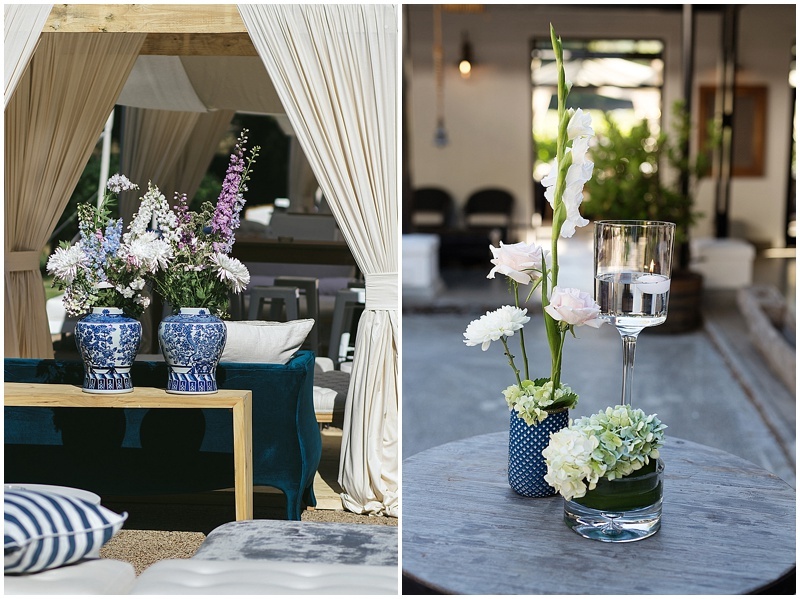 It was at pre-drinks that the décor and design team created a ‘Vineyard Street Party’ for guests that allowed for maximum socialisation and enjoyment! 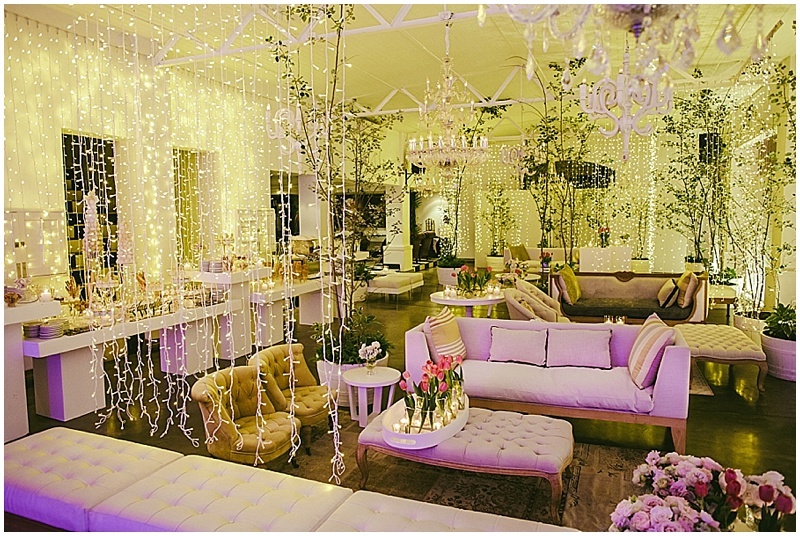 The space was filled with modern and sophisticated lounging and cocktail furniture – all set underneath custom-made luxury cabanas. 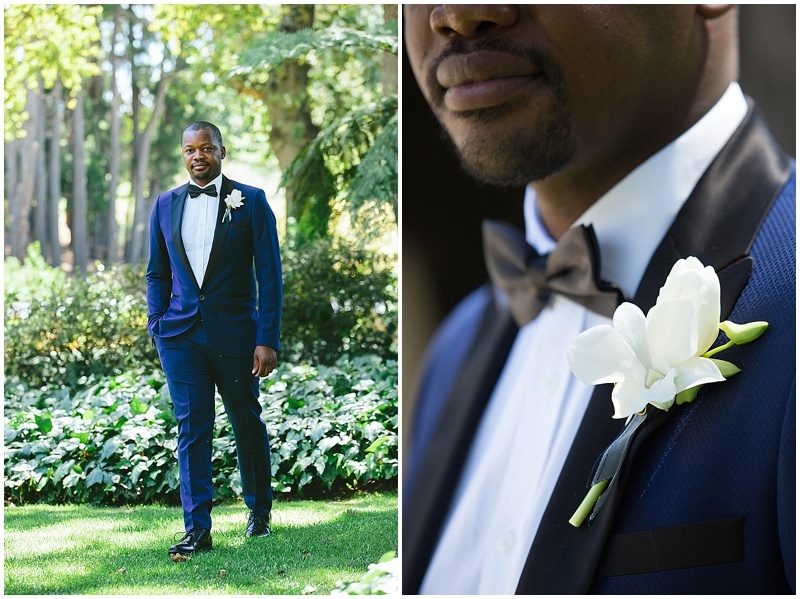 Midnight Blue, the next addition to the wedding colour palette, was introduced through various textiles and larger furniture pieces. 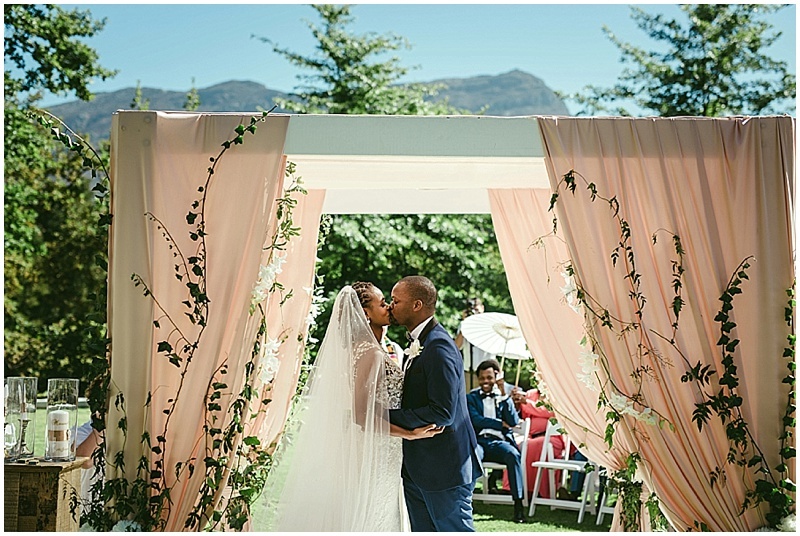 Mass arrangements in large ginger jars added a soft and elegant design feel and a rustic gin bar served “His” and “Hers” cocktails whilst guests enjoyed delicious canapés and live marimba music. 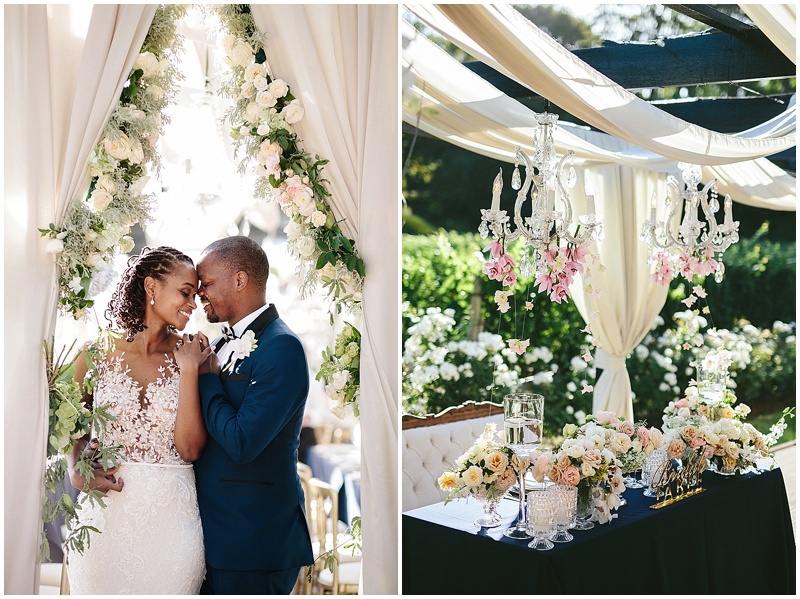 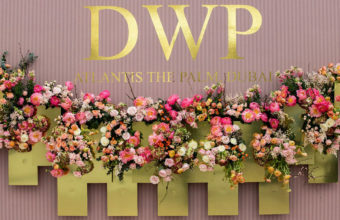 For the reception, guests were ushered through a floral-draped entrance feature to the transformed terrace that was glamorously set for an al fresco dinner under the stars! 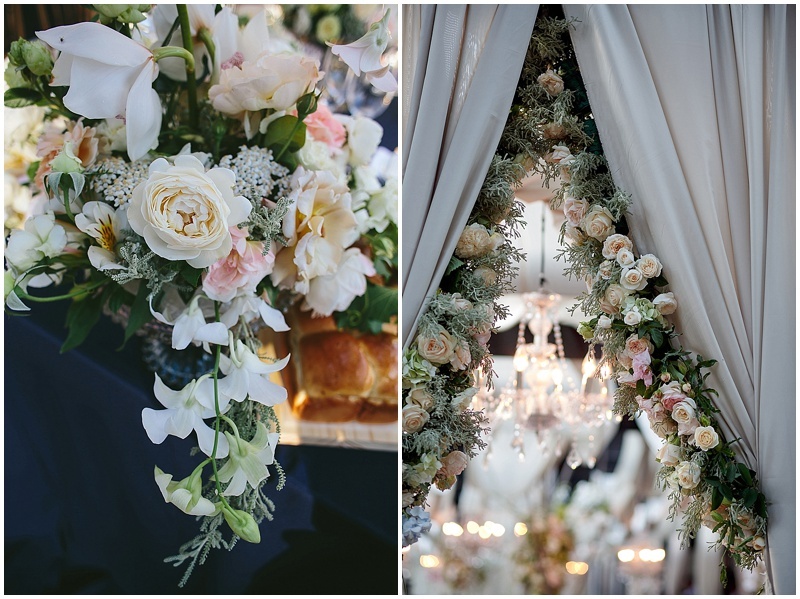 Stone coloured draping provided a lush sense of warmth and intimacy and crystal chandeliers with soft trailing blooms created an elegant glow. 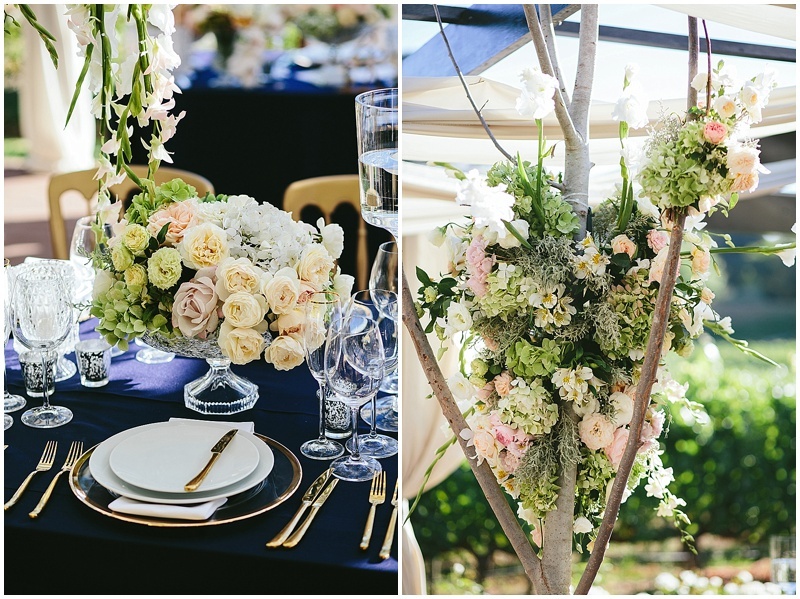 Two decor concepts were carried across the reception dinner tables. 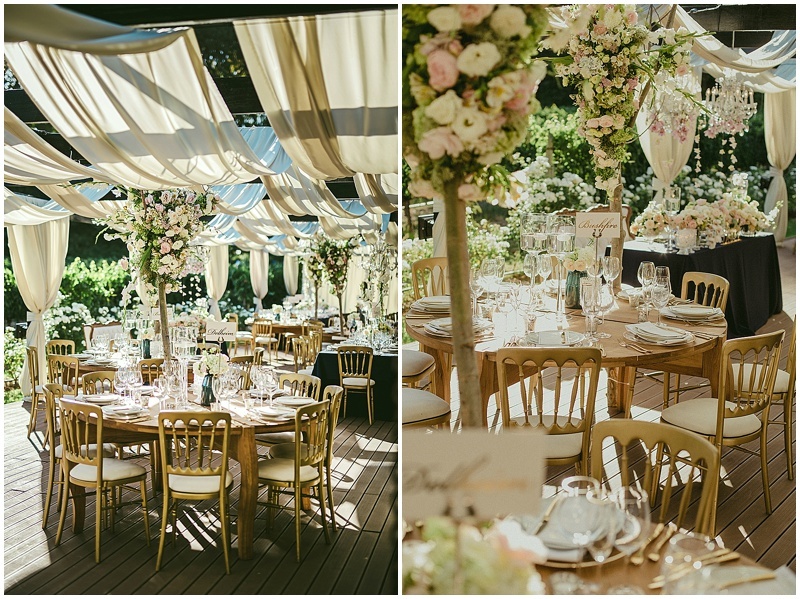 Round oak tables had trees attached to them that were filled with beautiful blush and white floral features, whilst midnight blue tablecloths created stunning contrast and boldly highlighted the colour scheme of the wedding. 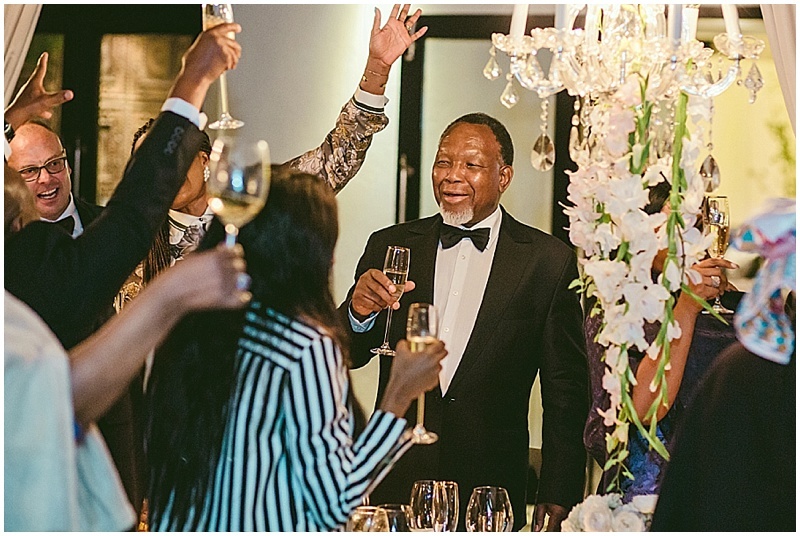 Adorned with full arrangements, crystal votives, crystal stemware and gold cutlery, the dinner tables resembled that of a layered styled design. 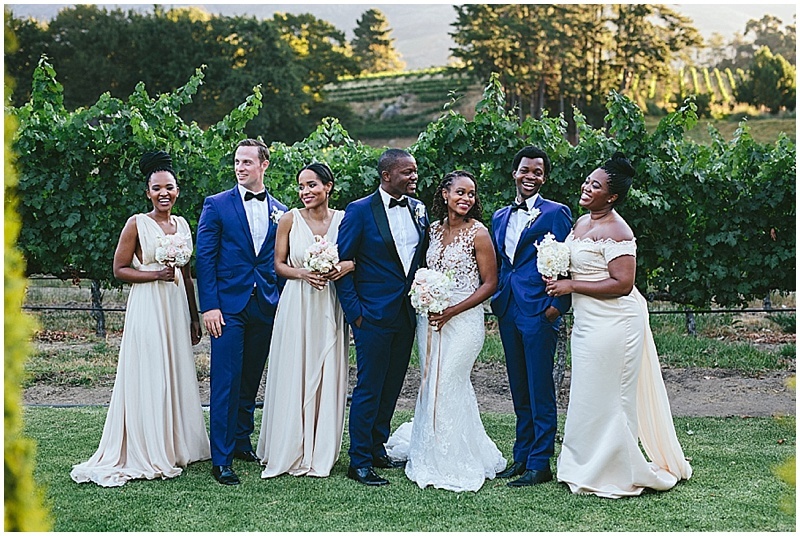 Beautiful customized stationery created the final designer touch. 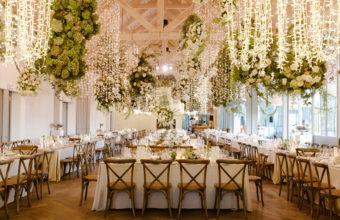 The After Party space was transformed with “walls” of fairy lights creating cozy and intimate pockets for lounging; and Poplar trees brought the outdoors inside. 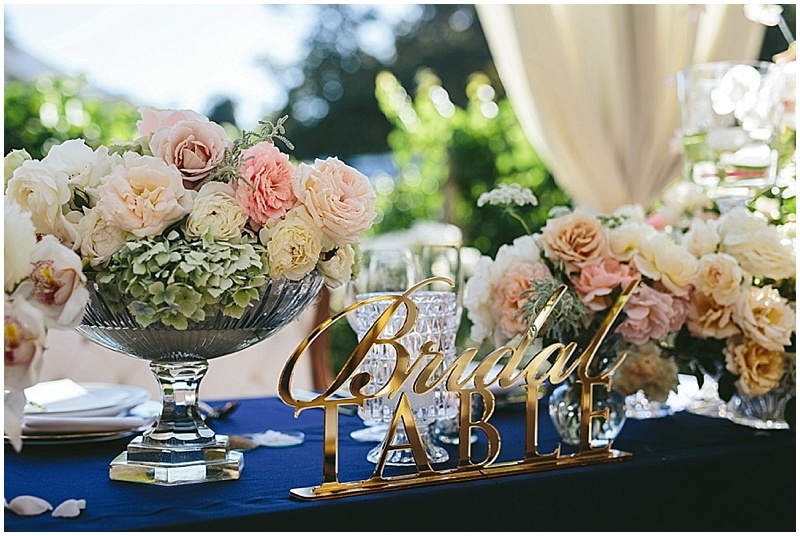 The dessert station was adorned with white, gold and cream coloured desserts – including a DIY sundae bar. 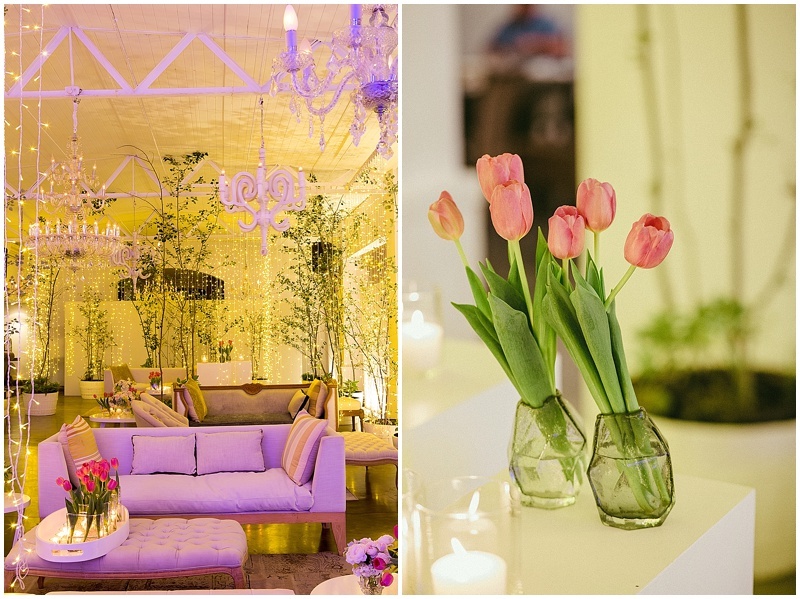 DJ Nigel Jaxx elevated the party once guests hit the dance floor after the first dance, and they partied the night away in this chic and stylish space.